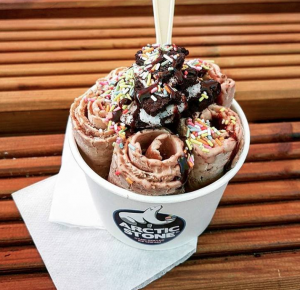 Previously only available at farmers markets, events and festivals, now you can grab yourself a tub of their delicious hand-rolled ice cream every day in the centre of Blackrock village. Located in Blackrock Market (confusingly not really a market but a laneway) just off the main street, their new shop will be open Monday to Sunday from 10:30am-10:00pm. 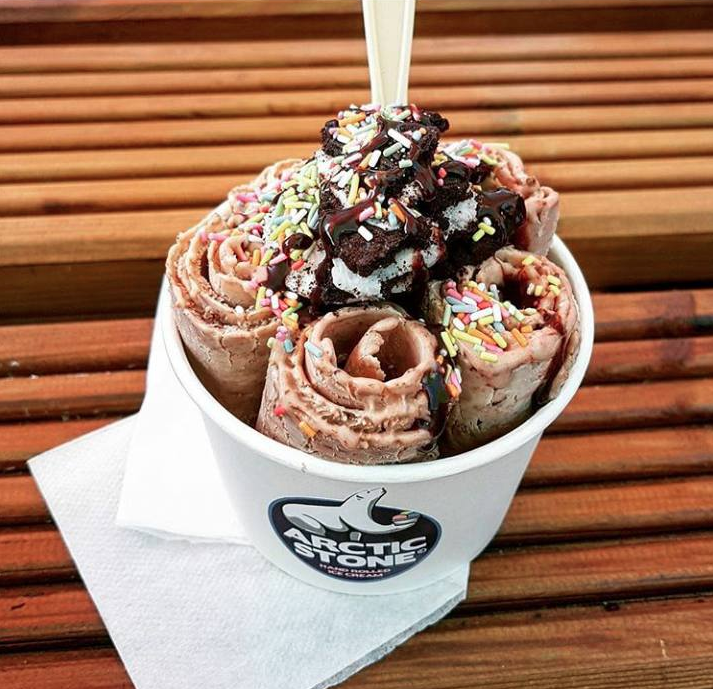 Delicious ice cream at nearly every waking hour of the day! What’s hand-rolled ice cream I hear you ask? Arctic Stone was inspired by a popular ice cream coming from all the way over in Thailand. 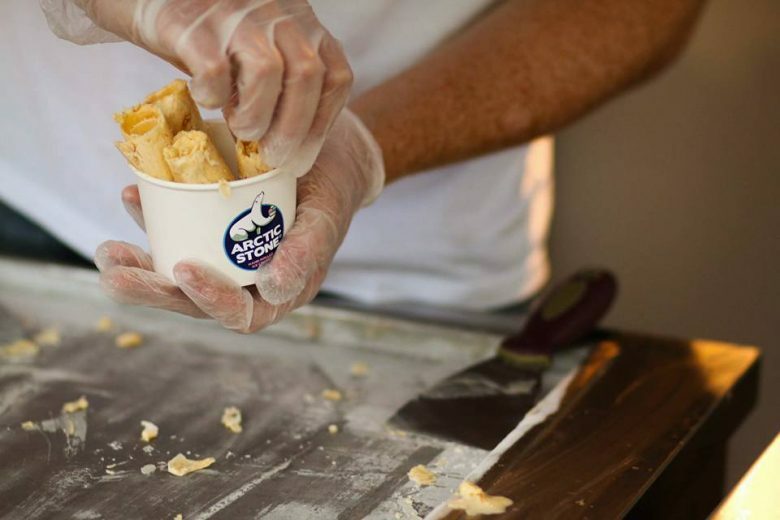 Flash frozen ice cream started to appear on the streets of Bangkok around 4 to 5 years ago and has rapidly been spreading in popularity across Southeast Asia. 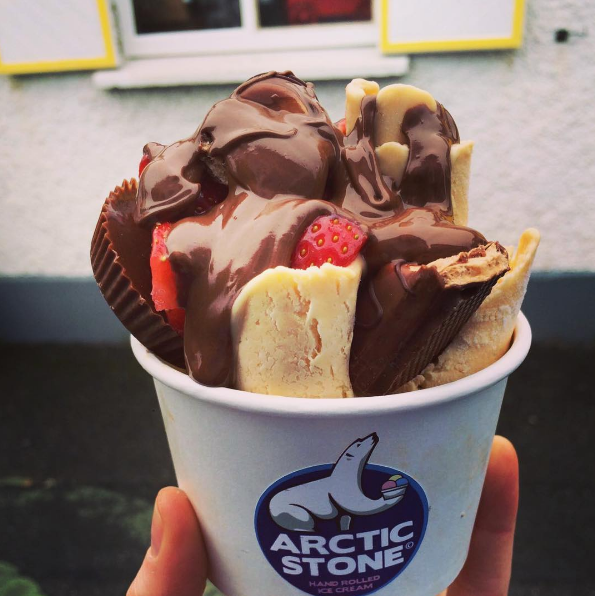 While travelling around Asia, founder Caolán Cullen was taken in by the art and spectacle that was involved in the making process, but knew that the taste of the ice cream could be drastically improved by using the fantastic Irish dairy we have here and throwing in a whole range of well known sweets and treats (think Kinder Bueno, Jaffa Cakes and Oreos) to give it that extra edge. 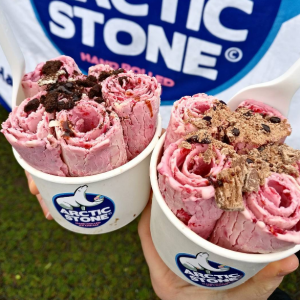 On returning to Ireland, Cáolan purchased his own cold-plate and with the help of family and friends, created what are now some of Arctic Stone’s signature flavours. 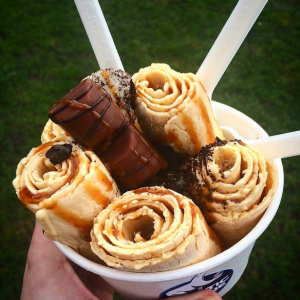 These include Banoffee Pie, Berry Necessities, Muy Bueno and so many more. The pics below really speak for themselves. Congratulations guys – here’s to opening many more in the years to come! « The Beatyard is back and we’re ready to boogie!